My studio is currently located in two different locations as described below. Curriculum for either location will be similar. I teach in the Orchestra Iowa School and my studio there is located located on 2nd floor of the Orchestra Iowa building at 119 3rd Avenue SE in downtown Cedar Rapids, next door to the Paramount Theater. I am located in Studio "B." To find out more about schedule, policies, and all things pertaining to lessons at the Orchestra Iowa School, please click here. 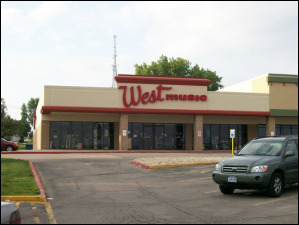 I am also teaching at the West Music Conservatory located at 1398 Twixt Town Rd NE, Marion, IA 52302, across from Lindale Mall. To find out more about schedule, policies, and all things pertaining to my studio at West Music click here.